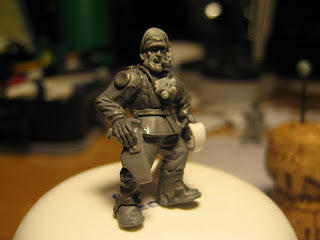 Over the weekend I've been working on another member of the command section. 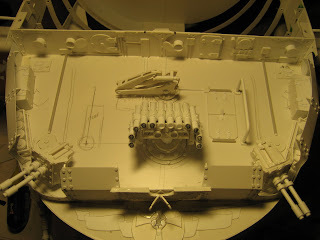 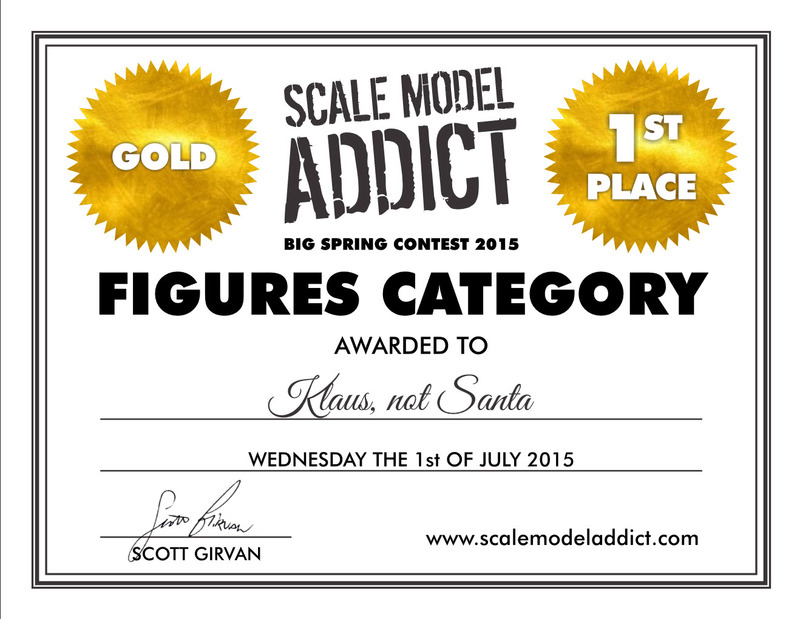 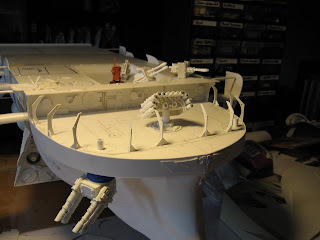 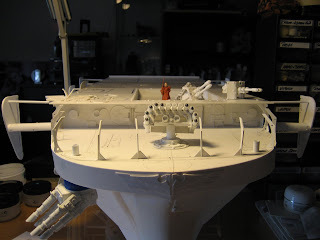 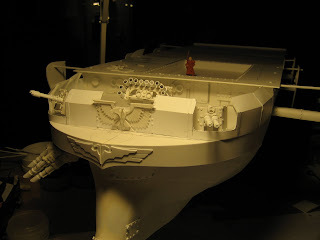 This time I wanted to build one on the high ranking officers on the ship - maybe the captain or even an admiral. 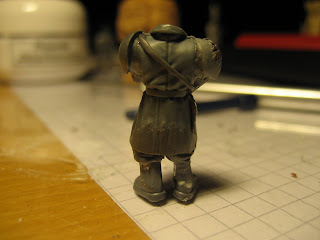 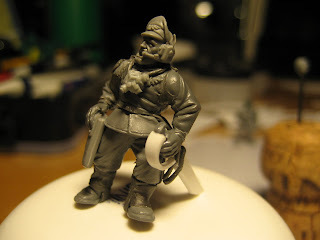 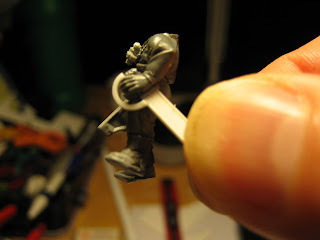 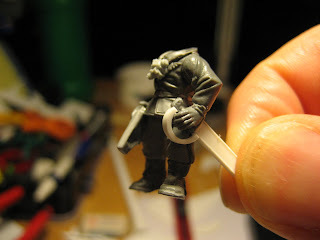 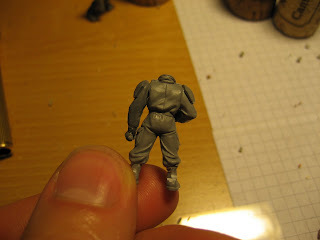 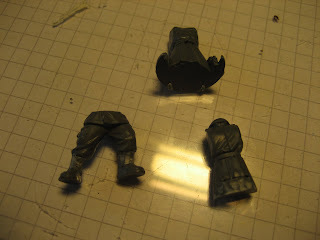 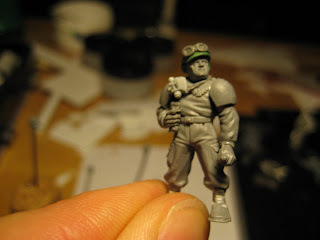 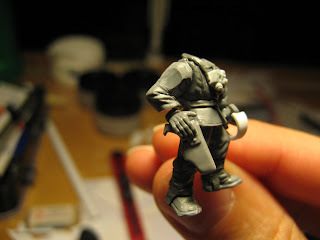 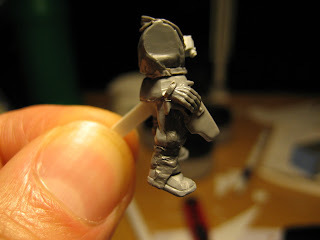 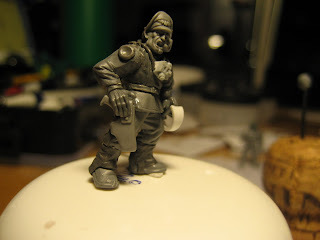 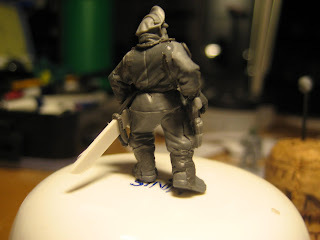 I started off with the long coated tank officer from the Baneblade sprue, and some standard Cadian legs. 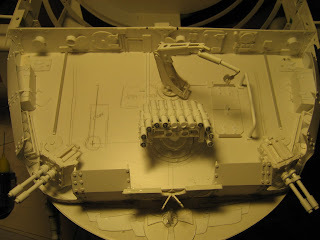 In the right bottom corner you can see the torso freed of the tank hatch pieces. 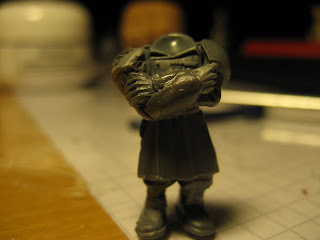 In the end, I had to greystuff the arms completely. 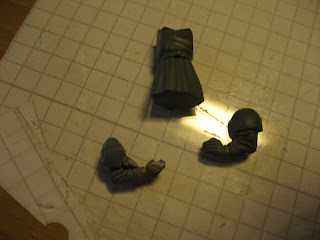 Only the shoulder armor and the actual hands are bits. 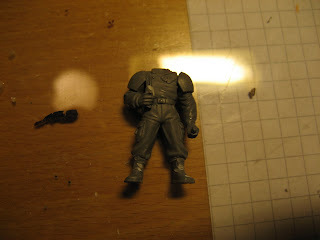 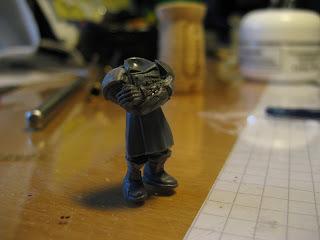 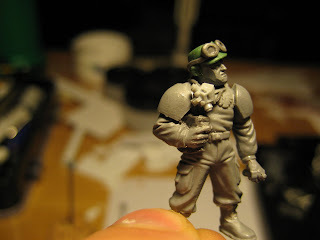 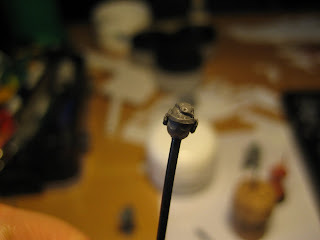 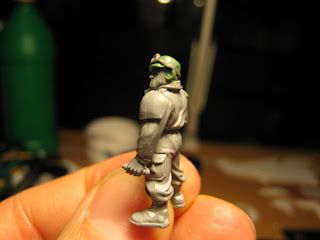 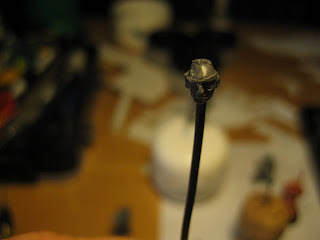 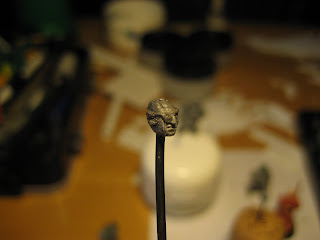 Since I want the officer to be very special and a veteran of many battles, I shaved down a basic Cadian head, freed it completely from the helmet and sculpted some items to it. 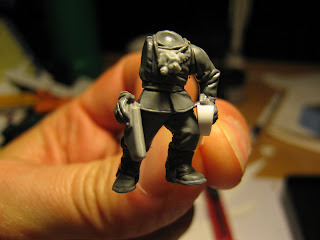 He still needs gaiters and the respirator, but I think he'll look pretty cool. 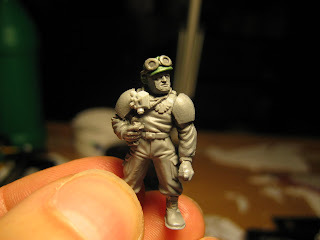 As promised I started working on part of the crew. 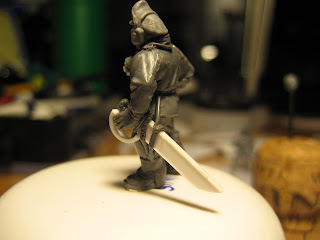 This here will be one of the deck officers, armed with Laspistol and a sword. 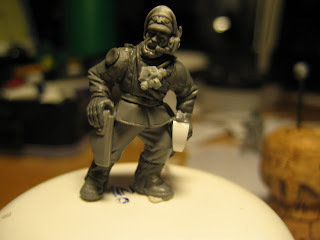 Next I worked on a NCO. 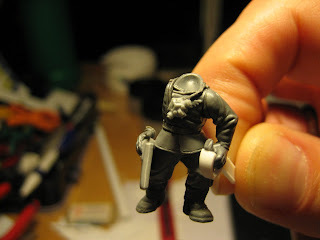 I am absolutely happy with him. 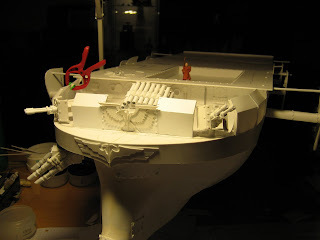 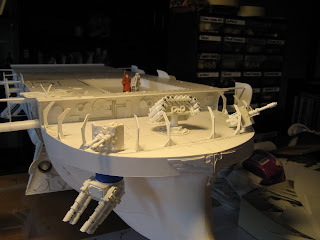 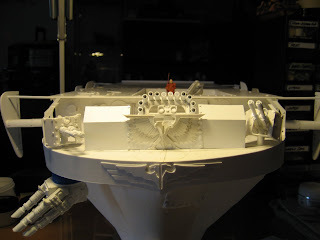 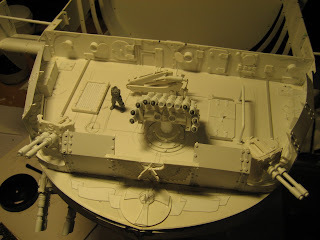 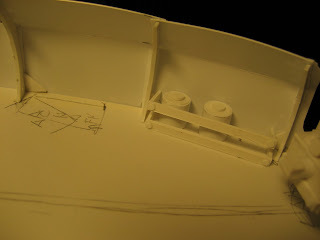 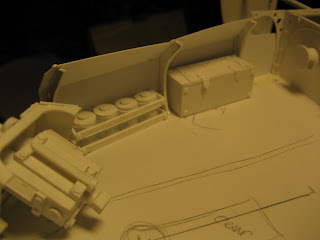 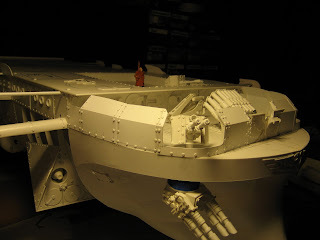 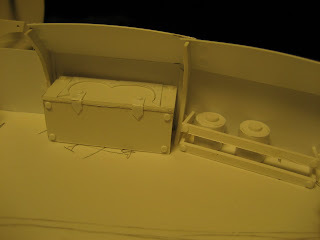 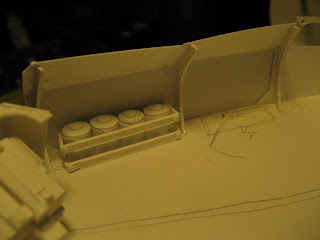 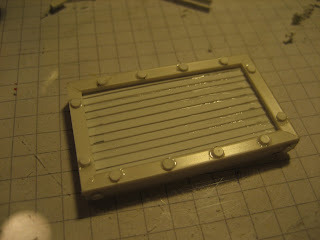 Now that the forward deck has some armoured protection (yes, 0.25mm plasticard is thin, I agree :) I started with some detailing of the that section. 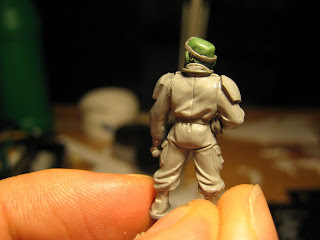 Tonight I will start working on some of the crew members - I will try to resemble the figures I had drawn for the uniform color test. 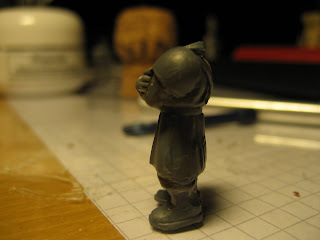 Time to protect the crew, isn't it? 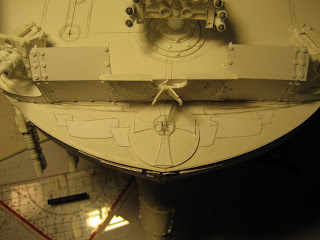 As discussed in the comments, the forward section definately needs some armoured plates. 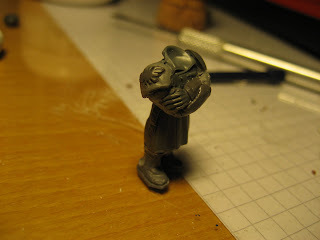 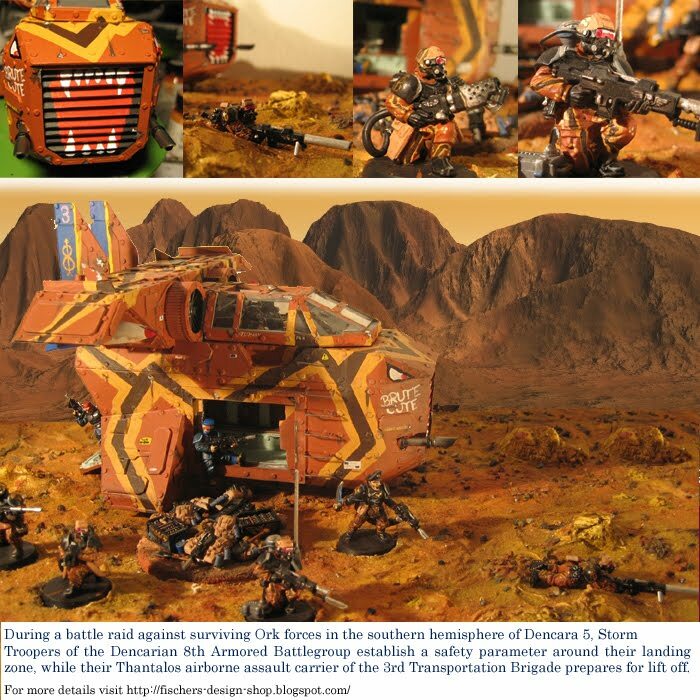 For this I looked at various existing models (like the FW Gorgon) and decided to use an slightly angeled model. 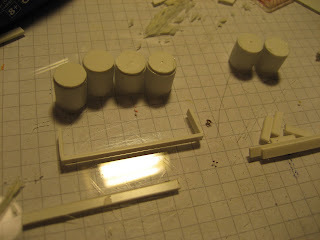 So I built some supporting beams, to which the plates will be attached. 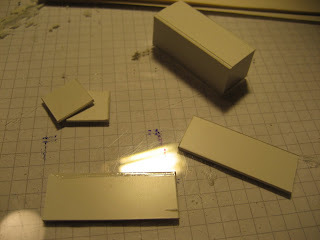 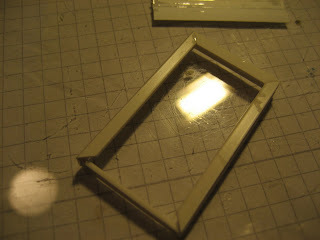 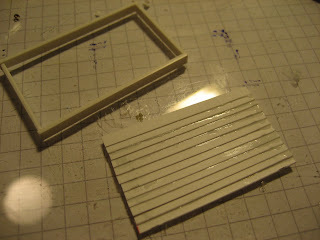 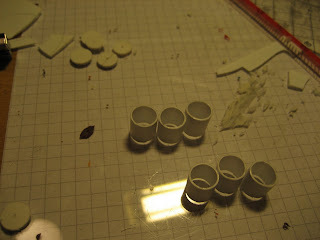 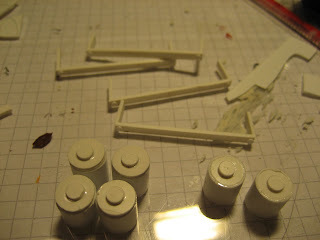 More plates on the sides - again I used the 0.25mm plasticard, as this can be formed and bent rather easily. 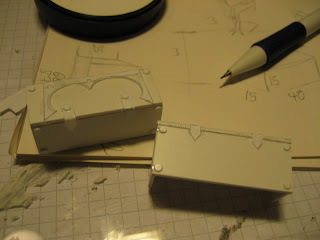 And finally I added another ornament - again the pawed cross with the Fleur-de-Lil in it, and a flowing banner behind it.